Zoopla’s Hometrack index of 20 major UK cities shows that London property prices are starting to stabilise after a three year period of price falls. Growth in the capital rose very gently to 0.4 per cent in February according to the latest index out today; Hometrack says that while market conditions remain weak, there are signs of a pick-up in demand as buyers exploit Brexit uncertainty. 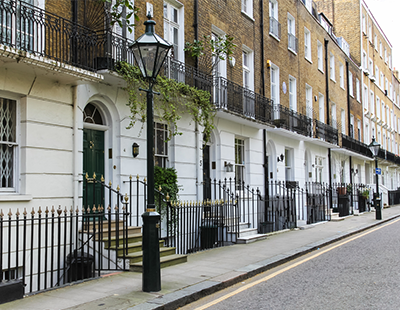 The number of London postcodes registering price falls is starting to reduce – down from 69 per cent in October 2018 to 55 per cent today - and the rate at which prices are falling in these markets is relatively low. In the other 45 per cent of London postcodes - mostly less expensive locations - prices continue to increase. Across all 20 cities under review the Hometrack data reveals that average prices increased 2.8 per cent over the last year – and for the first time in three and a half years it shows positive growth in all 20 cities last month. However, the rate of price inflation in regional cities is starting to moderate. “We believe this will continue over the remainder of 2019 and predict weaker growth as a result of growing affordability pressures as well as increased uncertainty. For example, in Birmingham and Manchester there is a significant increase in the proportion of postcodes registering growth of zero to five per cent and fewer areas recording growth of more than five per cent per annum” says the latest Zoopla report. He adds: “House price growth has remained strong in regional cities over the last three years rising as much as 17 per centsince the Brexit vote but signs of weaker growth are building as affordability pressures grow. “While the Brexit debate reaches fever pitch data on housing sales and demand for mortgages shows buyers are largely unmoved. Transaction volumes over 2018 remained in line with the five-year average. The latest data shows that housing transactions have increased slightly in the first two months of 2019.